Home Is The Ziering Hair Transplant Method Suitable For Women? Ziering is a hair transplant clinic in the UK as well as the USA that has grown tremendously popular in the past few years. Baldness is mostly a man’s disease, but let us not forget that many women are also suffering from hair loss. And since women tend to have thinning hair all over, they are usually less qualified for conventional hair transplants than men are. However, if you are a woman suffering from hair loss, do not fret. There are constant advances in technology that are opening up more and more possibilities every single day. You may have already heard about regrowing hair with laser light. It sounds like a scam at first, but when you do your research on it… it turns out that it actually works. Ziering got wind of this as well and developed their own laser solution. It’s a non surgical solution, as I am sure you have already guessed. You can’t expect miracles from it, but it can definitely improve your situation if only you are prepared to use this on a frequent basis. 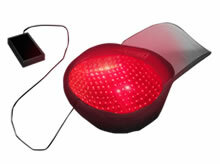 The LaserCap shines 224 lasers onto your head, each of which is 650 nm wide. These lasers have the exact same intensity and wavelength that the Laser Hood and the Laser Comb do. So you’ll get exactly the same results from this product. The total output, however, is much greater, because of the fact that all these lasers are put in a cap. Using this cap, you can treat your entire head all at once. And the great thing is that you can fit it under another cap, hat, scarf or any other kind of headwear that you may have in your posession. You can easily wear this thing while taking a walk. Or on your way to or from work. Talk about convenience. You only need to use it for 30 minutes at a time, 3 times a week. Keep doing this for a few months, and you’ll notice thicker hair growth. Since women usually go bald all over, a regular strip hair transplant is not suitable for them. With a FUE surgery, follicles are extracted individually. This makes this method much more suitable for women. However, FUE is very labor intensive. This makes it expensive, and fewer hairs can be transplanted at a time with regard to the regular strip hair transplant (FUT). However, the geniuses at Ziering have come up with the Artas robot which perform FUE robotically. It is still being controlled by a human operator, so rest assured that you won’t have a robot going haywire on your head unsupervised. Robotic surgery has been upcoming for quite a while. And generally, it increases the performance of whichever surgeon is controlling it. The same can be said for FUE. Because of the great precision of the robot, better results are achieved faster and at lower cost. The upsides to robotic FUE with the Artas robot is that you get no linear scarring whatsoever. This is a good thing, because linear scars sometimes stretch and cause problems. In my personal case, my strip scar caused psoriasis. You don’t want to be scratching the back of your head for 13 years like I did. This method is minimally invasive and very precise. 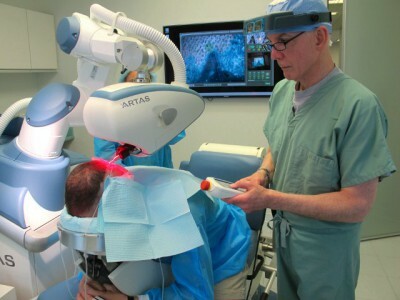 The Artas robot updates its own judgment of your follicle situation 50 times a second. That’s much faster than any human ever could. You can’t get this kind of precision from any surgeon, no matter how experienced he is. Since the process still requires human supervision, there is still a certain cost tied to this procedure. However, if you think it is worth it, then you might want to save up for it. It can be worth every penny if it makes you feel better about yourself. Gordon Ramsay's Hair Transplant - Worth The Money, Or £30,000 Flushed Down The Drain?